I chose to wait for today to post, rather than join in the plethora of posting regarding the recent Super Full Moon. Today the Moon wanes in 4th Qrt. and astrological Scorpio is ever present in the world’s affairs. 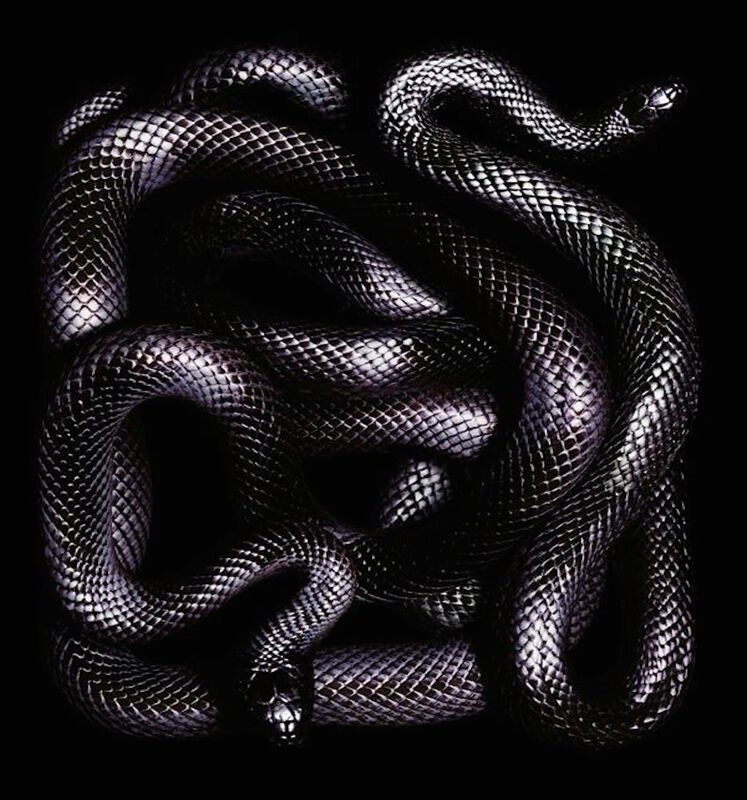 Scorpio promises an opening of your senses, both psychic and physical, but you must first be willing to surrender to those darker waters and descend into a realm of complexity and mystery. 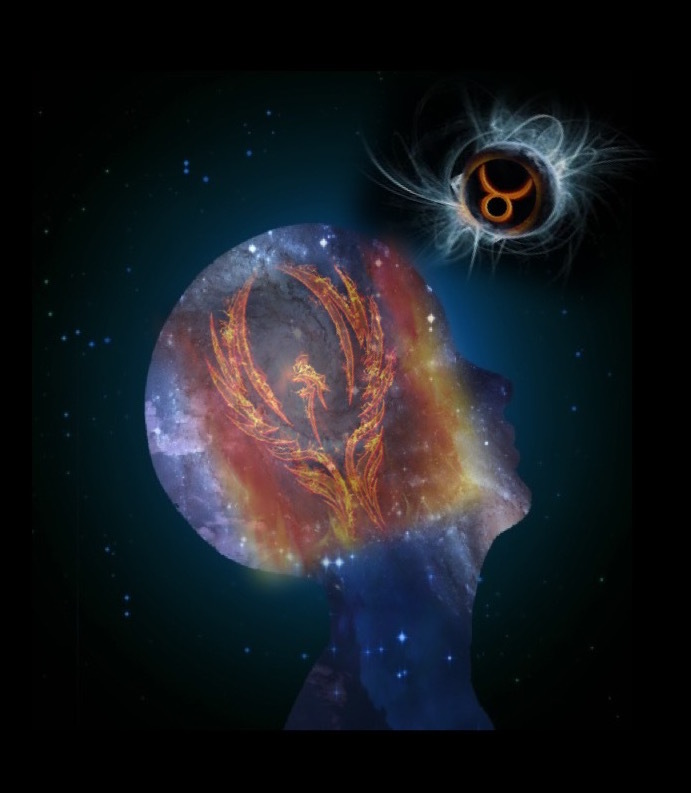 This, of course is only one aspect of the trinity of Scorpio’s assignations- the Scorpion (much darker and unpredictable)- the Eagle (more selective and discerning in its energy) and the Phoenix (the rendering of resistance and the blazing energy that heals and conquers). What I have chosen for today is the much darker aspect, the space of allowing yourself to surrender and dissolve into the darkness of your nature, so that healing and reconciliation may begin, rendering you empowered and strengthened in the Light of your being. I am proposing that you engage all of your senses in this exploration and release all expectations of what you will find on thus journey of descent into the core of your being. Lady Moon is donning the mantle of her 4th/Last Qrt. phase. A time of release and rest. A time of gathering all that will be needed to actualize and fulfill her promise of burgeoning brightness when next she dons her cloak of Newness. We too are in the midst of this cycle. And, we as children of this Divine presence are capable of biding our time; pulling the darkness closer around and trusting that the Light that we are infused with will blossom into the path of productivity and hope we desire. I am offering you two pathworkings to begin this work. One, which provides the keys towards your descent into becoming the fertile darkness that holds the mystery of renewed and regenerated life. And, the second is one of rekindling the spark and allowing the space of hope and healing to become the synthesized YOU ready to begin anew at the next New Moon. May your journey be full and enriching and may what you create from those efforts inform all of your actions…. The moon waxes full on Sunday, April 29th in the astrological sign of Scorpio. So, you may be wondering why my title for this post alludes to the bull of Taurus. This reference is made because there are a whole lot of dynamics occurring between elemental water and earth right now and many are getting stuck in the mud as you struggle to break free…. The moon is Full wearing the garb of watery Scorpio and is in opposition to a Sun that burns hotly in earthly and robust Taurus. Both are signs of a Fixed modality which means that there is staying power to whatever/wherever their energy is applied. The annual solar month of Taurus inherently offers the ability to stand strong in what you have created as your foundational and earthy realm; finances, possessions, relationships and anything that provides grounding and anchor to you thrive in Taurus’ light. The flip side is that this stalwart and very earthy energy can also encourage you to remain stuck in what has become outworn and “comfortable” but not necessarily productive. We are almost at the mid-point of this energy, which means that we may also access a more mature level of understanding as to how and what we choose to acquire as manifest space in our lives, and what should be left behind. These thoughts are the first layer of this current earth-water dynamic. The Moon, already ripe and full with emotion and watery flow, is in Fixed Scorpio’s waters that ebb and flow through multi-layers of transformative outpouring. We have choice to remain guarded, hidden and introspective as the Scorpion of this sign’s energy; rise upwards into the light as the Eagle choosing a path that is more discerning in how those waters flow; or take the leap of faith required as the Phoenix renders to ash what it has laid bare and rises anew as a the stable current of fiery waters that carves out its own emotional landscape. Scorpio has always been one of those astrological signs that presents more like Fire than true Water; but then again, all of the elemental energies carry varying amounts of each of the other within them. This Fixed water of Scorpio can flow in a directed course or enter into stagnation o the desire to move is not appropriately placed. This provides the second layer of the current earth-water dynamic. I mentioned earlier that the Sun and Moon are in opposition to one another. This is the traditional configuration of a Full Moon in alignment with the Solar Sign. Many hear opposition and identify this with conflict and avoidance. I have never perceived it that way. In fact, I view any opposition as an organic and healthy dialogue between polarized energies that seek a state of tension so that one or the other may find resolution at the appropriate point of interchange. Depending on the intention and what outcome may be needed, one may reach across and almost touch that id-point of equilateral balance, but this never quite happens in a moving state- the perfect mid-point actually meaning a stagnant place of stillness where neither receives the neutrality of a catalyst to transform the other. In the case of this Taurus and Scorpio exchange, the tension is one of manifest foundation (Taurus) striving towards the adaptability of transformation at multi-levels of being (Scorpio), and with each iteration of the application of tension, a newly created form emerges. A good analogy is to consider the birth of a Butterfly emerging from the cocoon, having shed the foundational blueprint of it caterpillar form. Jupiter is Retrograde in Scorpio, so we have a resonance between the Great Expander and the Full Moon. Jupiter is noted for its expansive quality and much like the ebb and flow of the Moon’s tides, Jupiter also breathes in a rhythm of contraction and expansion. This is why Jupiter is often used for financial matters. There is an organic flow that moves through what we consider to be prosperity and the times of contraction (or lack) are necessary to allow for the bounty and prosperity to fill the coffers of what you desire. The gift here is one of harnessing this expansive nature as with each incremental striving towards the transformative power of Scorpio’s Phoenix, we provide time to rest and integrate within the “in breath/inspiration” gift in the contraction back to itself. Saturn and Pluto are Retrograde in Capricorn, the earth sign of potential. Potential to reach deeply into the depths of emotions waters and the ability to retrieve and bring to the surface and higher what has been made manifest and revealed as the Sea-Goat navigates the heights of breath and mind. Saturn provides structure and orderly guidance as it oversees the process of pitfalls and failures. Unfortunately it can also become stuck and sluggish in advancement, not trusting that what is provided is enough. Pluto is the planet of regeneration and concerns itself with death so that life may continue. I also seePluto’s energies as those of being able to reach into the far past, bring forward the necessary experiences and lessons as a new future is being created from the point of synthesis that wraps and enfolds the present. It too is in earthy Capricorn, and the potential for use this energy in a lateral way to further guide your efforts is potent in a retrograde focus. In all of these cases, there is a pulse of rhythm, a natural ebb and flow/contraction and expansion/descent and ascent that is flowing through these solar charged waters. This is the Bull of the Taurean Sun, that is not content to stand still and in its movement causes upheaval and what appears to be collateral damage, but in so doing affirms life in its most manifest and passionate way. This is also a call to allow your primal nature to light the way, as the intuitive waters of Scorpio’s heart fuel your course with passion. Breathe into this ability to be adaptable (Moon in Scorpio) and stretch and reach (Jupiter in Scorpio) towards the Gates that hold the keys (Pluto in Capricorn) to what has been learned and what can be created with your intention. These are the Gates that provide the foundational structure Saturn in Capricorn)that may become the blueprint of success as you navigate these challenging times. Lest you have the image of negative connotation in the word, “raging” my hint to you is held in the protective nature that is held in Taurus energy. Protective of home, family and those things that are the manifest image of that state of security and comfort. The raging bull is the guardian of all you hold dear and spiritually, it is the keeper of a wisdom that gifts its user with anchors that reach deeply into a manifest reality of your own highest creation. The Moon waxes New in the watery astrological sign of Scorpio tomorrow morning at 6:42a.m. The Sun is in its last days of solar Scorpio and all of this potent occult energy emerges from the recent parting of the veils at Samhain. Scorpio is unique in that it is the only of the twelve (12) astrological signs that expresses itself three very distinct ways; the Scorpion, the Eagle and the mythical Phoenix. Many mistakenly think of Scorpio as being a Fire sign, rather than water, largely because of its active and catalytic nature. And, this assignation is not that far off, since all of the elements contain within themselves each of the other three (3) as modifiers of their energy, such as Water of Water, Fire of Water, Earth of Water and Air of Water. Think if it this way, the actor (Water) wears different costumes (the other 3 elements moving through the primary element/actor) to portray different characters, archetypes and energies. Underneath it all, the actor (water) remains who and what its dominant and core energies are, but adapts that core to model a portion of what overlays it (one of the other elements). Scorpio, displays this beautifully in its three forms. The Scorpion is earthy and deeply rooted in primal instinct. Its foundation is one survival and this includes remaining hidden in its actions so as not to attract the attention of what would consume it. Earth of Water provides the container for the water to remain or to flow. If the earth container is too rigid, the water will evaporate (survival instinct!) and become stagnant in the process. If the earth provides flexibility, the active flow of the water’s need to move and remain enlivened creates new pathways and the beginnings of a flowing body of healing waters can emerge. You could consider this model as the metaphor for shadow work. That which flows in the deep waters below and carries the sting of the Scorpion, can become the healing waters that stir us to movement in creating new pathways of understanding and intuitive nature. The Eagle soars in the light, and because of its keen sight and ability to fly above what could destroy it, the Eagle has the benefit of both land and air. Air of water can be placed here. This is the breath of inspiration. The currents that carry the seeker towards its pinnacle and its goal. And the brilliance of a plan that will ensure success in finding and capturing the prey needed to survive. This is the survival of the Scorpion refined and honed in its enacting and rising above as the Eagle. 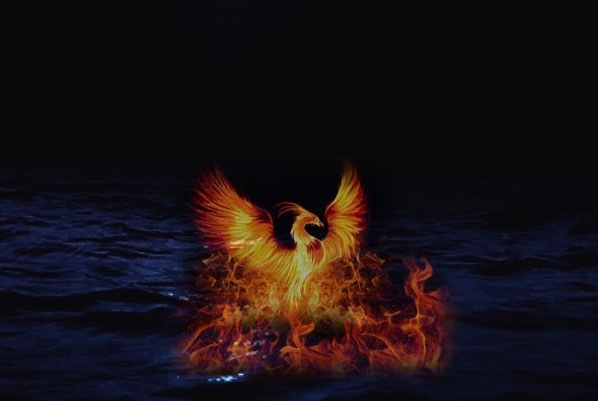 The Phoenix is the final result of the scorpion’s healing waters and the eagle’s keen sight aloft. These are the Fire-filled waters that render down what no longer serves and from the ashes (another return to earthy wisdom)something of beauty that is both hidden and in plain sight is born. Beyond the traditional astrological assignations of Scorpio, wherever Scorpio has its imprint, change and opportunity is at hand. Another aspect of Scorpio’s energy is that of its waters being of the Fixed modality. This fixed nature is ready to receive from what has been catalyzed (Cardinal energy) and to expel what has been synthesized and given structure from its fixed container into the adaptive and flexible expansion of Mutable energy. I’m going to add another layer to the triune nature of Scorpio, so just breathe! The qualities of those three modalities I just referenced – Cardinal (beginnings and initial catalyst) – Fixed (synthesis and structure) – Mutable (expansive and flexible) – also describe the potential held in Scorpio. The nature of Scorpio as the scorpion is one of cardinal energy in the organic process of transformation offered. We use the scorpion to cloak and hide ourselves from the light. It is of no matter why we are doing this, the intention is still the comfort and safety felt when you don’t reveal too much of yourself and your emotional nature for fear of exposing the soft underbelly. Control and primal instinct are often not good bedfellows, but by learning to navigate in the recesses of our emotional earthiness, we are able to jumpstart movement into the light. The nature of Scorpio as the eagle is one of fixed energy. We now are ready to synthesize our experience as the scorpion and our fear of flying. Flying out into the light where all can look up and see the glory and beauty of our wings carried within the container of sky and earth. We breathe in the air and the light and the transformation and integration of survival and discernment now are available. From the vantage point of rising above we can be discerning and accurate in what our next actions will be and where and how we choose to expose our emotions to the world. And, finally, the nature of Scorpio as the Phoenix is complete transmutation that is mutable. The need to expand beyond what was thought to be capable, and to reach across the threshold of death (endings are also of the mutable nature) as manifest form is quickened. This is also the synthesis emanating from the Eagle’s fixed form, allowing the dissolution of limitation. No longer are the emotions and the desires held at bey, they now become the healing flames that ebb and flow in waters that have been purified and consecrated by trial and error for the express purpose of rebirth. This New Moon is an opportunity to set a new course. To dive deeply into the waters of emotion that lay hidden and allow a more intuitive way of navigating those dark waters to emerge. That initial burst of energy can be used as you visualize how much more discernment you will have as you make choice of which of these drops of dark waters can be carried into the light and used to form new rivers and streams that will eventually fall from the heights, cascading down as waterfalls. And, most importantly, allow the possibility for change to seep into every cell of your body. The possibility of rising in beauty and power, all because you willingly let drop the guard that held the most useful of those emotions and intuitive gifts to remain hidden. Wax towards the fullness of your own lunar potential as you emerge catalyzed by the fiery waters of Scorpio’s creation! Blessings on this auspicious day….